Turkish HDTV manufacturer Vestel has announced the world's first Bittorrent certified HDTV, which will allow users to download, share and playback media files directly from their Internet connected television set. Not much is known about the device itself, except that it's only a prototype at the moment, and apparently it is designed to work only with BitTorrent's own library of legally shared media and files that you've created yourself. "Consumers want all types of personal media and Internet content in their living rooms, and the TV remains the most desired device for consuming this digital media, regardless of source," said Hakan Kutlu, deputy GM of marketing for Vestel. “BitTorrent certification helps our TV line meet this consumer demand and ensures that Vestel products remain at the forefront of technology innovation and adoption." 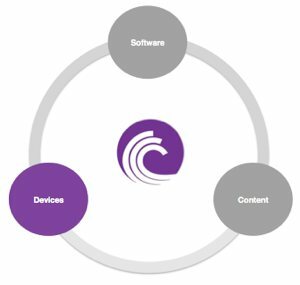 The partnership and certification program is part of BitTorrent's plan to expand beyond computers and smartphones. The developer of the popular BitTorrent peer-to-peer protocol is expected to show a few more devices at next year's Consumer Electronics Show in Las Vegas, which could include DVD and Blu-ray players, set-top boxes, and more. The company claims to have more than 100 million active monthly users and expects to grow that base further by simplifying the downloading process for less tech-savvy people. The question of legality might overshadow their efforts, however. Although it's unclear what measures the company is taking to stop people from sharing illegally obtained content, many manufacturers will undoubtedly be hesitant to adopt the technology and risk the blowback from content providers if their devices are misused.